What Features Make a Diamond Eco-Friendly? Over the past few years, more attention has been paid to unethical practices in the diamond industry, and more and more consumers are conscious to avoid conflict-diamonds, also known as blood-diamonds. Because diamonds are a precious commodity often found in regions of the world suffering from war, genocide, and other desperate conditions, these beautiful gems have been used to fund ugly practices, inhumane leaders, and violent regimes. Fortunately, international organizations like the United Nations have taken great strides in the past decade to reduce the sale of diamonds from conflict zones by enacting tracking measures such as the Kimberly Process to make sure that violent people can no longer use diamonds to fund their atrocities. However, these global protocols are still in their infancy, and many consumers want more reassurance that their romantic diamond purchase is not at the expense of innocent people’s lives. There are several ways to avoid conflict-diamonds by choosing ethical or eco-friendly diamonds. These options range from buying diamonds from known origins, using recycled gems, choosing laboratory made stones, or choosing diamond-alternatives. One way to go eco-friendly and ethical when purchasing a diamond is to choose a certified Canadian diamond. There are Arctic diamond mines in Canada under the strict supervision of the Canadian government that produce gorgeous diamonds mined under conditions determined to be ecologically responsible. These diamonds come with paperwork detailing the exact mine in Canada from which they came, but their pedigree puts their price at a premium. Lab-grown diamonds, also known as lab-created diamonds, are another way to be eco-friendly and avoid blood diamonds. These diamonds are chemically and molecularly identical to diamonds mined from the earth and even have the same inclusions are flaws that normal diamonds have; the only difference is that instead of being formed under the earth’s surface through millions of years of pressure, they’re made in laboratories that simulate these conditions through a high-tech pressure-cooking process. These diamonds are less expensive than traditional diamonds but offer all the sparkle, durability, and charm of their natural counterparts. 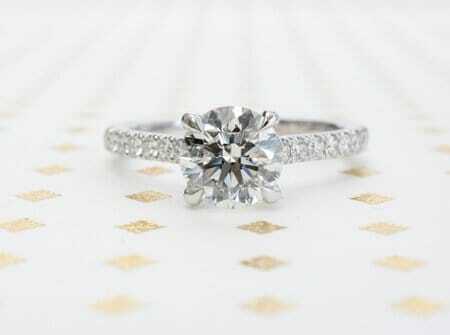 Recycled diamonds are a great eco-friendly option because they don’t contribute to any current market practice. 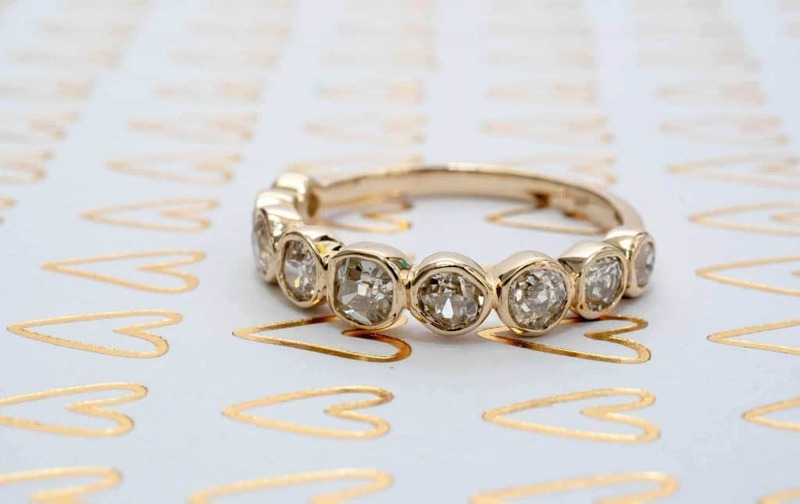 A recycled diamond is simply a diamond that was already used in another piece of jewellery, reset in a new style, and sometimes re-cut or re-polished if needed. Recycling is a classic way to stay eco-friendly, and there are so many options. Some couples choose vintage rings for their historic style, while others only save the diamond and start fresh with a modern setting. Diamond alternatives are also a great choice for eco-friendly consumers. There are so many options, from white sapphires, which have a great white colour and durability, to Moissanite, a synthetic that rivals genuine diamonds in sparkle and hardness. The most important things for a consumer trying to be eco-friendly with their diamond purchase are to be well-informed on all the options and to choose a jeweller who is transparent about the origins of the stones.